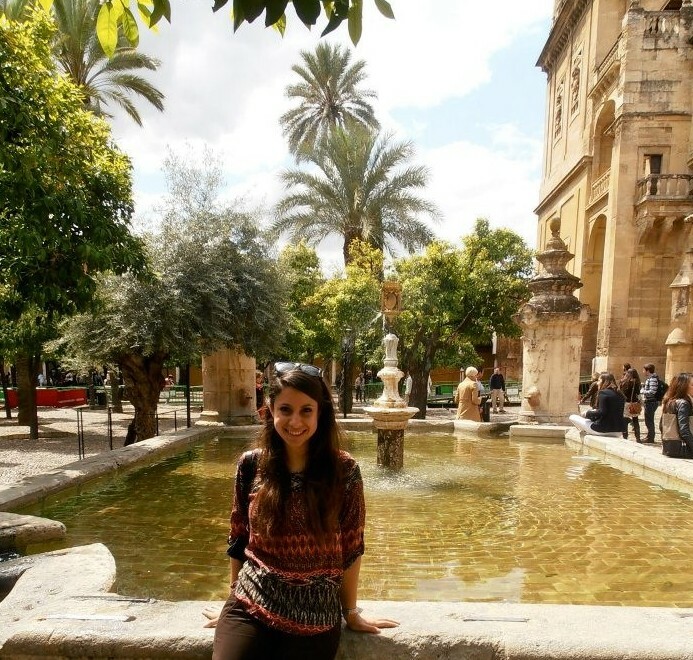 With summer coming up, I thought it would be an ideal time to write about my favourite city in Spain – Córdoba. Never-ending blue skies, horses and carriages, streets lined with frondy green trees, fairytale forts, golden sunshine, beautiful Arab architecture and a heady scent of orange blossom that infuses the air no matter where you are – this is a place everyone must visit at least once in their lives! I love the way these windows frame the sky! 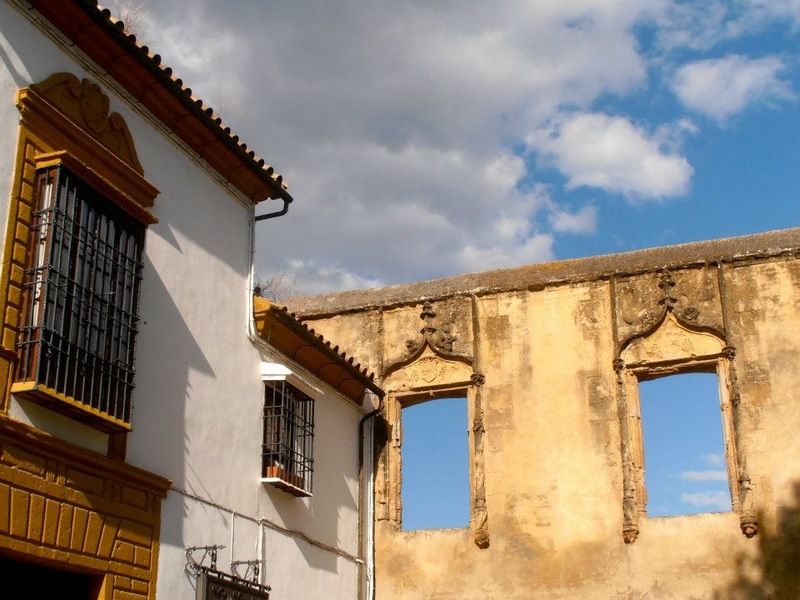 There are so many different thing to do and see in Córdoba, but I’ve listed below some of the absolute ‘musts’! The biggest and by far the most famous sight in Córdoba is the Mezquita – sometimes referred to as the Great Mosque of Córdoba, other times as the Cathedral of the Assumption of Our Lady. Possibly one of the most impressive buildings I have ever been to in my life, the Mezquita de Córdoba is a conflicted yet beautiful mess of architecture and history. Puerta del Baptiserio (one of the gates to the mosque) – and the view opposite our hotel! When an exiled prince escaped to Spain, he sought to create a place of worship that would rival in magnificence those of Baghdad, Jerusalem, and Damascus, and approach in holiness the sanctity of Mecca. The prince chose to build the mosque on the site of an existing church, that had also been the site of a Roman temple to Janus. The inside of the mosque is breathtaking – one of the most amazing things I have ever seen, certainly one of the many wonders of the man made world! A sea of deep red and magnolia striped arches in more shapes than you could possibly dream up. Decorations were created with a mix of ivory, jasper, gold, silver and porphyry – that red stone that glitters and glimmers like stardust. Nothing was too grand for the worship of God and panels of scented wood were fixed to the walls with pure gold nails! Make sure to look out for the Mihrab (the gilded prayer niche)! In the middle of the old mosque is a bright white and incredibly jarring Gothic horror of a Cathedral nave. It was constructed by the Christians with the permission of King Charles V, however when he visited later he is said to have commented: ‘they have taken something unique in all the world and destroyed it to build something you can find in any city.’ And that was exactly how I felt. Having said that, it is thought that if the mosque hadn’t been re-purposed into a cathedral, it might have been ripped apart by the vengeance hungry Christian forces – which perhaps somewhat softens my opinion to the silver eyesore. Alcázar is one of my favourite Spanish words – there’s something about the word that makes me think of tales of fairytale princesses and dragons. The word comes from the Arabic word Al-Qasr which means ‘the palace’ and this fortress is definitely one of the greatest palaces I have seen! It served as one of the main residences of Isabella of Castilla and Ferdinand of Aragon. The original Moorish fortress that stood in its place was almost entirely destroyed by the Christian forces, however it was rebuilt in the Mudéjar style so it retains much of its Arabic feel. The fortress then became the home of one of the permanent Inquisition tribunals and the campaign against the Moors, and many of the rooms, including the beautiful star lit Arab baths took on a more horrific role as torture chambers. The fortress was a black hole of pain and torture for many centuries before becoming a prison, when it probably saw just as many sorrows. It finally became a museum in the 1950’s. While the fortress is beautiful, it’s hard to walk around ‘The Inquisition Tower’ without remembering the sadness these walls have witnessed. 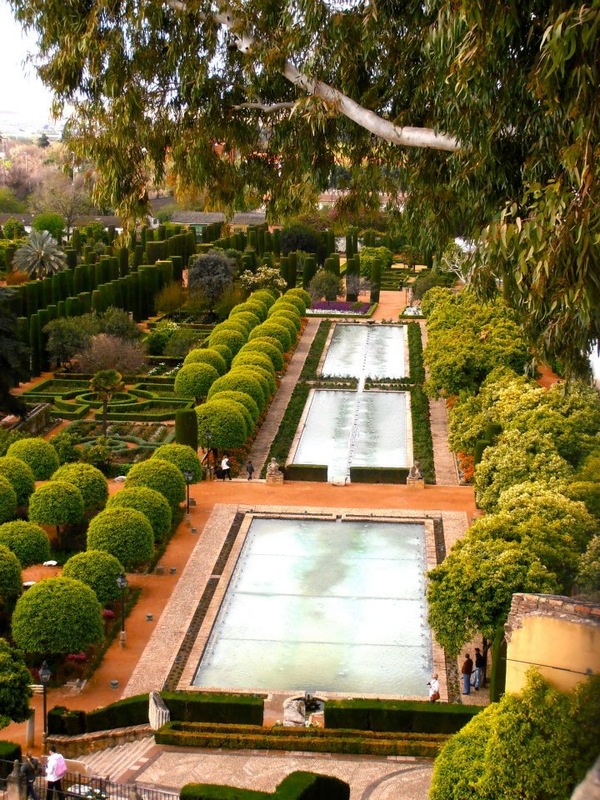 I much preferred the gardens – quiet scented box hedges and little fountains gurgling contentedly amid vast silvery pools of water, mirroring the cloudless skies. I could happily have spent a whole day sitting under the shade of the orange trees or wandering down the pretty tiled walkways. 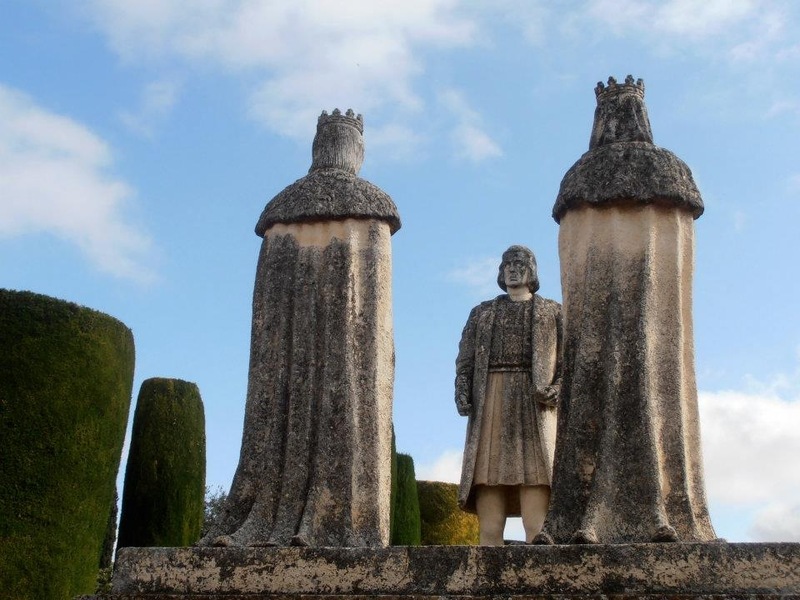 Look out for the stone statue of Isabelle and Ferdinand meeting Christopher Columbus (or Cristóbal Colón) in 1492 as he prepared to set off on his journey to discover the New World. 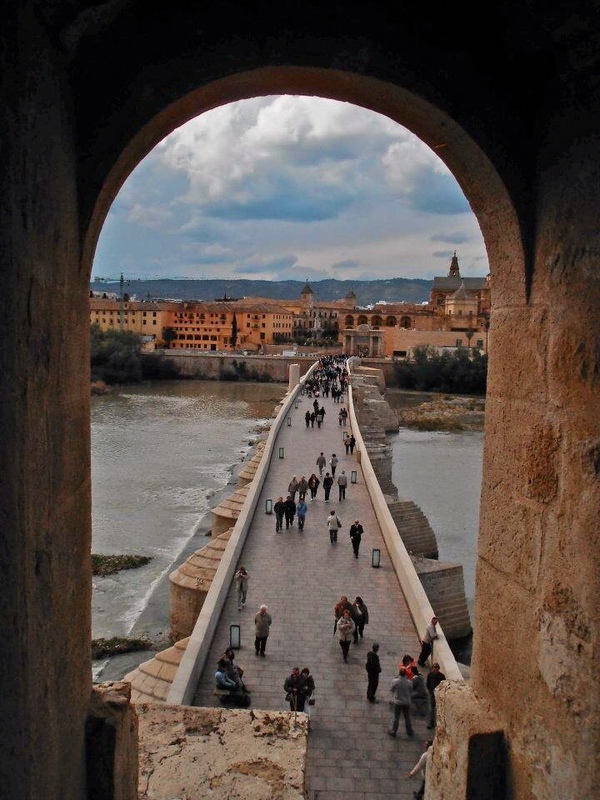 A wide sweeping bridge dating back to Roman times crosses the shallow Guadalquivir river. There’s a lovely view from the bridge of the old Moorish water mills that line the riverbanks, and there’s a wonderful feeling of open space with the water and the greenery replacing the sand coloured stone. 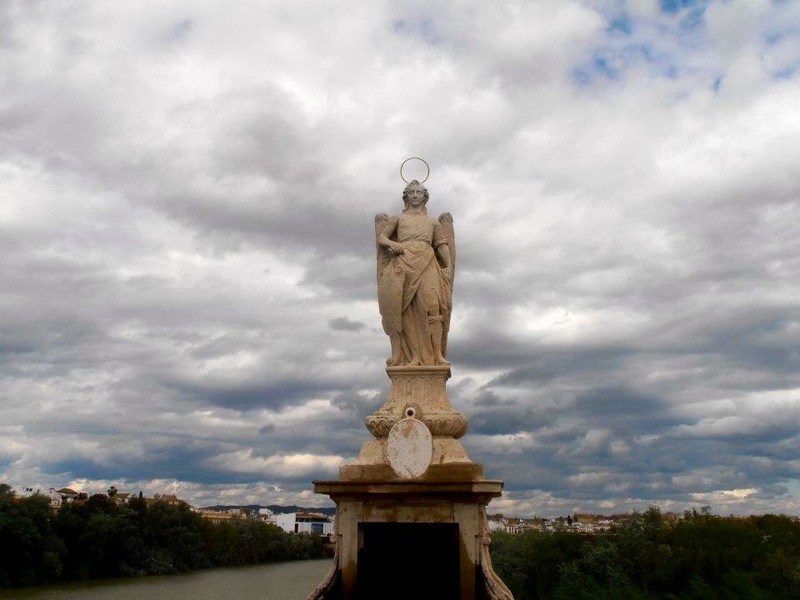 Half way along the bridge is a statue of the Archangel Raphael who is the protector and guardian of the city. 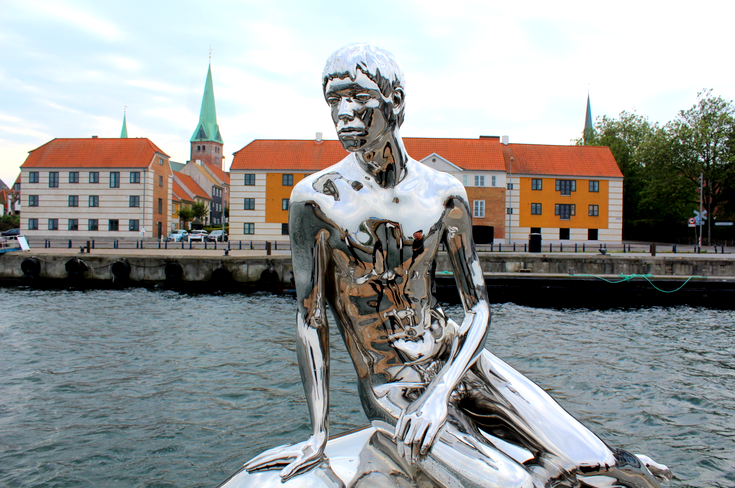 It’s a rather beautiful statue, topped with a golden halo – standing there on the bridge as the sun broke through the stormy clouds, it certainly felt like an angel was watching over the city. At the opposite end of the Roman bridge is the Torre de la Calahorra which once upon a time was a fortified gate to the city. 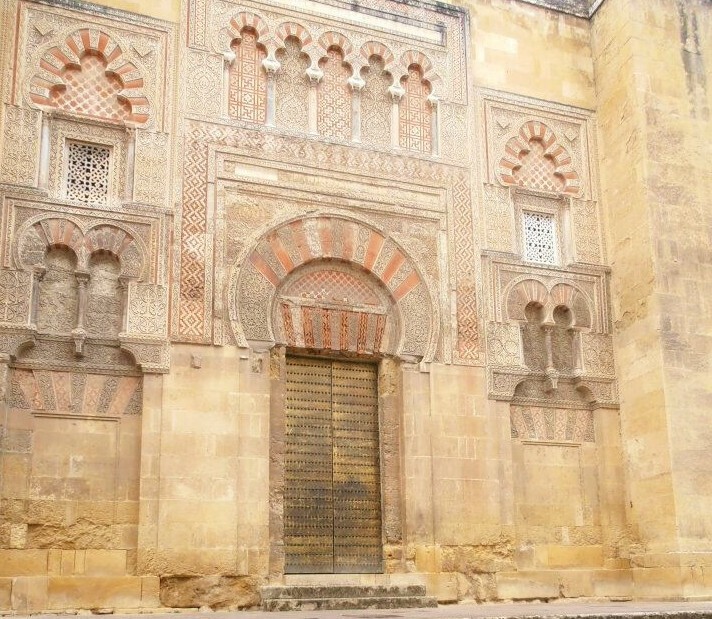 It now houses the Museum of Al-Andalus life. Make sure to pick up the headset which walks you through the museum explaining the different artefacts and exhibits including some verses of the Qu’ran! It’s nothing special as far as museums go, but entry is cheap (4 euros) and there’s a lovely view of the city from the top! Meals are very important in Spain, and that importance is one of the things I like best about Spanish culture. Eating is a time for people to come together – family, friends, old and young! Everyone sits down for a proper meal that is cooked with love and a good deal of fresh ingredients too. 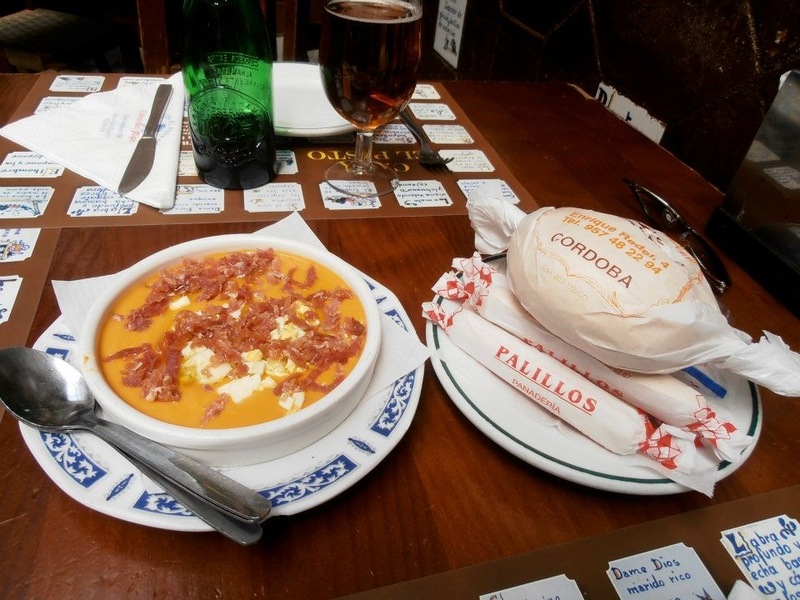 One of the traditional dishes of Córdoba is ‘salmorejo‘ – a puréed tomato soup, similar to Gazpacho but with a creamier texture. Salmorejo is made from fresh tomatoes, bread, oil, garlic and vinegar and is served cold, sometimes with crumbled hard boiled egg and diced jamón on top. 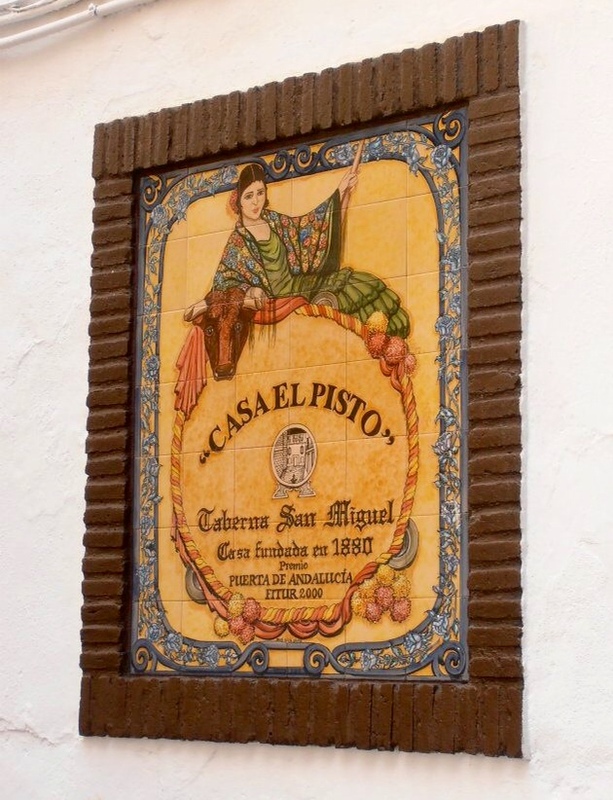 We were taken to ‘Casa el Pisto’ for lunch one day by our local friend and were told that it does the best salmorejo in town! Personally I’ve never really liked gazpacho or salmorejo, which is really controversial for someone who grew up in Spain as gazpacho is a national favourite! I opted instead for some simple tapas including my all time favourite patatas bravas and tortilla Española, all washed down with a glass of tinto de verano (red wine and lemonade). The food was delicious and it’s a fun little authentic bar, I would certainly recommend stopping by, if only for a quick cerveza! 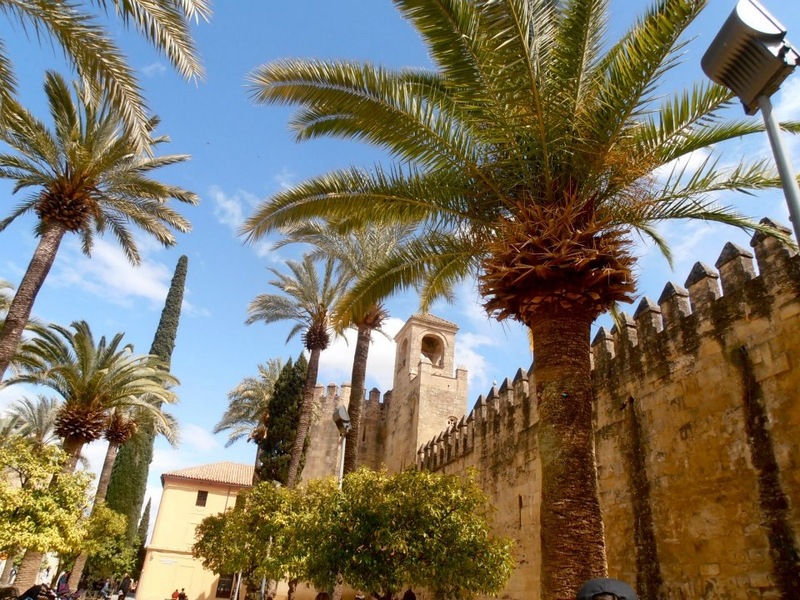 Córdoba is famous for having been a centre of cultural and religious tolerance for Jews, Christians and the Muslim Moors. This period of Spanish history is known as ‘La Convivencia’ and roughly lasted from the early eighth to the fifteenth century, while the Moors ruled and everyone lived in relative peace. Convivencia in Spanish means ‘living together’! 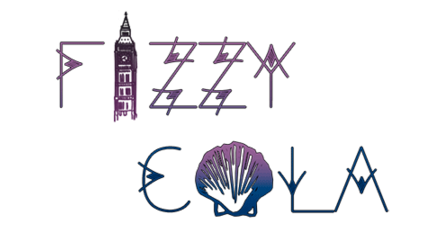 Regardless of whether or not this so called peace was true, it is certainly true that all three cultures have left a significant footprint on the country and region as well as a living legacy in its inhabitants. Since I just mentioned food, the first place I would recommend to get a taste for Jewish culture in Spain is Casa Mazal. This picturesque little restaurant is dedicated to the culture and food of the Sephardic Jews. Casa Mazal means House of Fortune (in Spanish and Hebrew) and it was certainly fortune that led me to stumble upon this place! The food is exquisite, the portions generous, the location is charming – the outdoor areas are bathed in sunlight, the stone pillars embedded with fossils while feathery ferns adorn their bases. Inside, the walls are decorated with traditional coloured tiles and an old silver Menorah stands sentry, while an ancient well sits in the middle of the room. 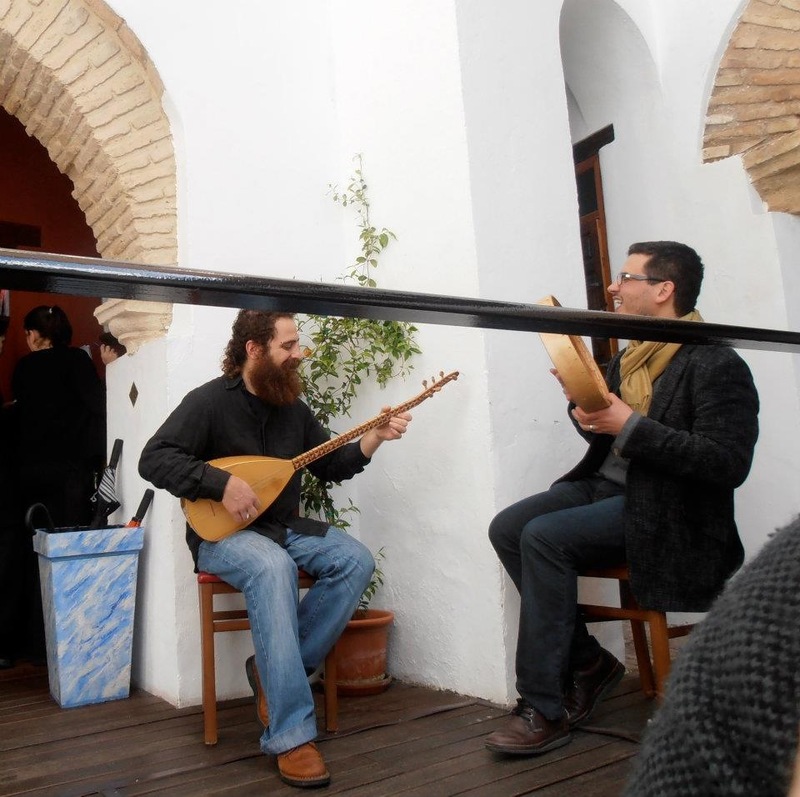 The restaurant is run by a Sephardic family and while you’re eating, local Jewish musicians will serenade you with traditional instruments, singing in Ladino. Ladino is a language derived from old Spanish that is still spoken today by Sephardic Jews around the world (including Istanbul, which I very recently visited)! 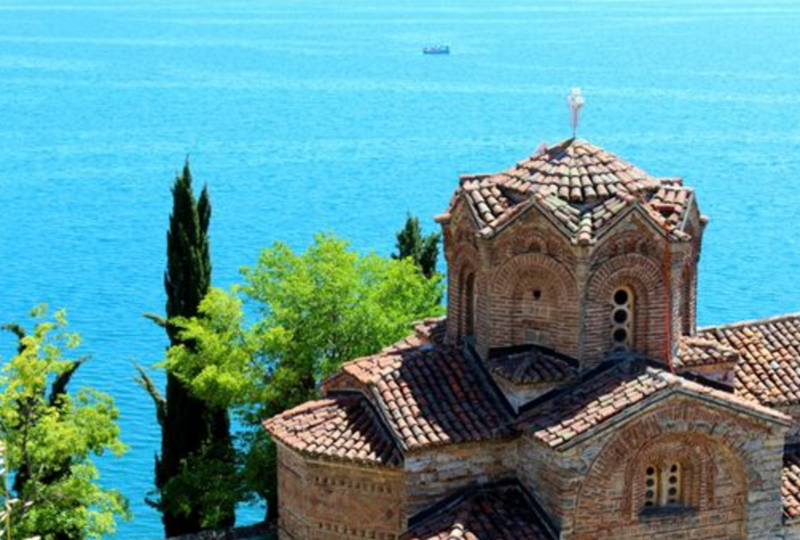 After a delicious and relaxing meal, continue searching for Jewish history by seeking out the nearby synagogue. This house of prayer served a number of different purposes after the expulsion of the Jews in 1492, from a hospital for rabies sufferers, a chapel for shoemakers, a nursery and finally, a national monument. Near the restaurant and the synagogue is a bronze statue of Maimonides, sitting atop a plinth in the centre of a pretty square filled with orange trees. 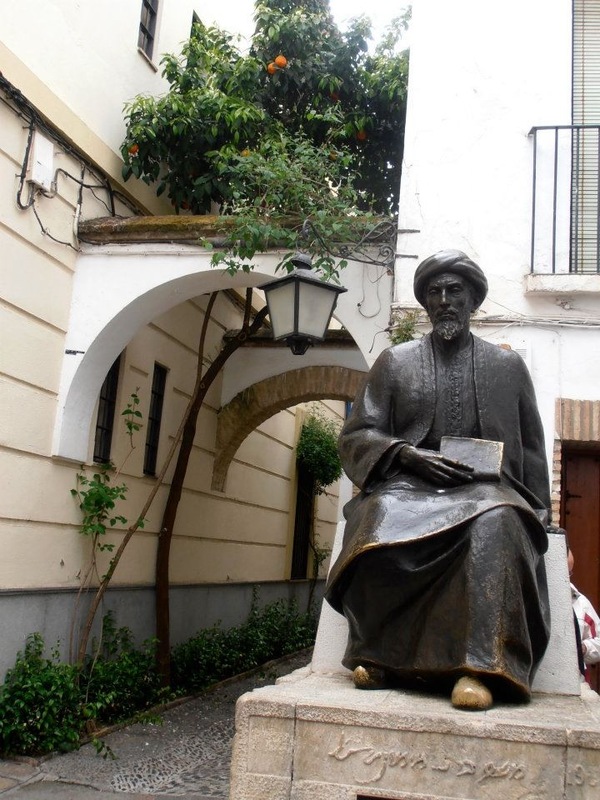 Maimonides is one of the great philosophers, I studied him avidly while writing my dissertation on ethics and forgiveness and was thrilled to discover that he was actually born in Córdoba! He was born during the end of the ‘golden age of Jewish culture’ in Spain, while Jews were allowed to live in relative peace. Soon after however, when a new Berber dynasty took over, they were forced to convert to Islam or they would be exiled, or killed. Maimonides’ family chose to leave the country, eventually settling in Fes in Morocco. I find it rather contradictory that the Muslim country of Morocco was more tolerant of the Jewish religion than the Moorish rules in Spain (Iberia). Make sure to rub Maimonides’ bronze feet for good luck! 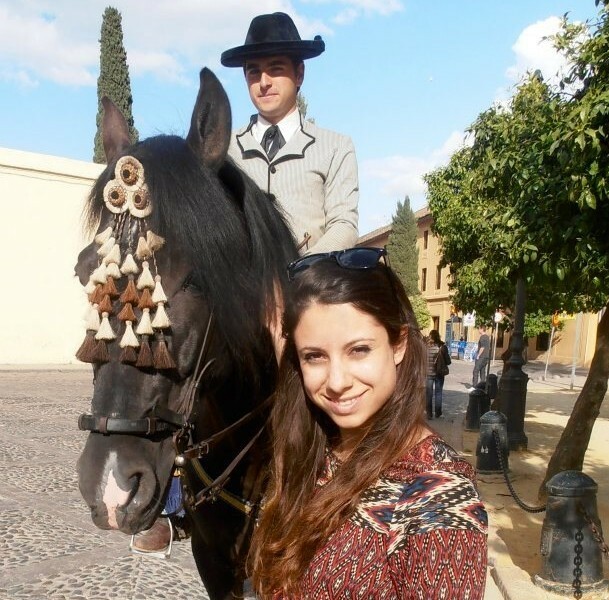 For those of you who, like me, love horses – the Caballerizas Reales is THE place to visit in Córdoba! 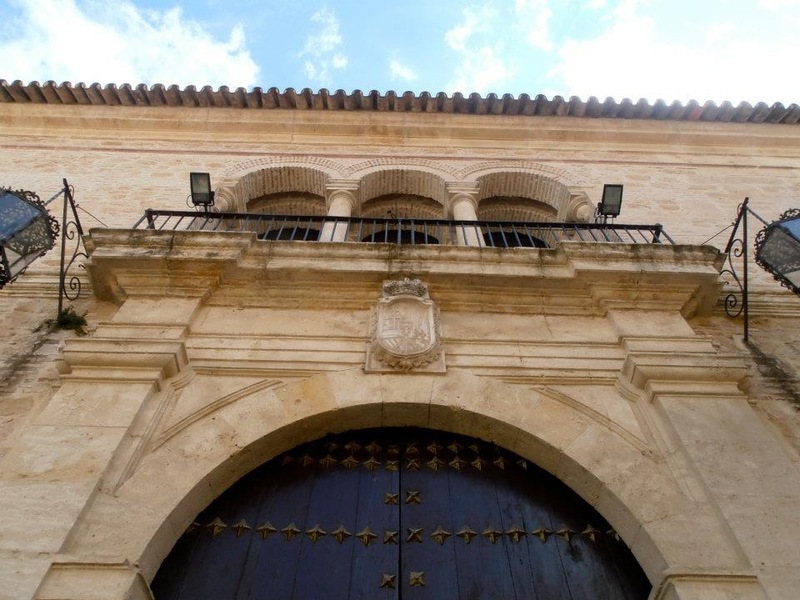 The stables house some of the best examples of the PRE horse – the ‘Pura Raza Española’ (also known as the Caballo Andaluz). This horse was created by royal decree by Felipe I in 1567 and at the same time, the royal stables was built in Córdoba as part of the Alcázar. You can distinguish these horses by their freeze mark – a capital R (for real – royal) inside a C for Córdoba with a crown on top. If you have never had the chance to ride one of these horses, I can only liken the experience to being in a super car. 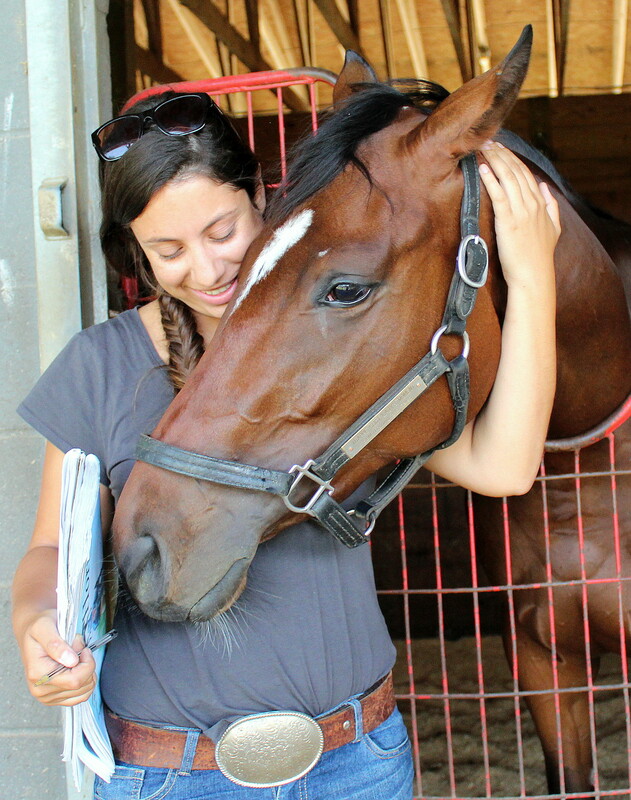 These horses are built of muscle, perfectly formed, perfectly collected and riding them feels like riding on a cloud. 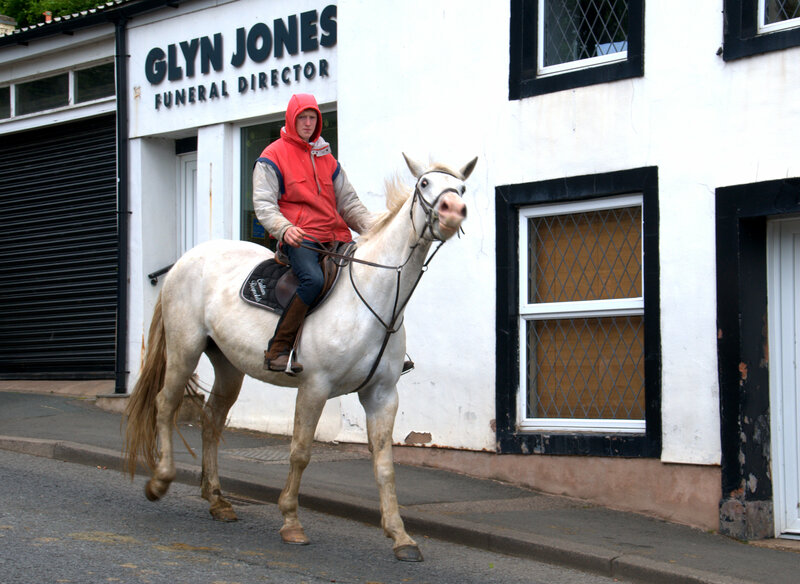 Nudging them from a walk straight into a canter, you can hear their ‘engines’ purr and feel the sheer power of the beast. I have competed in show jumping competitions on a PRE horses, despite them not being the usual choice for jumping, and they excel even at that, dancing around the ring and floating through the air. The Caballerizas are a truly beautiful example of a stud – built in a military style rectangle with the stables surrounding an inner dressage arena. The stables are a myriad of white arches lined with ancient bricks, reminiscent of the Arabic style of the mosque nearby. 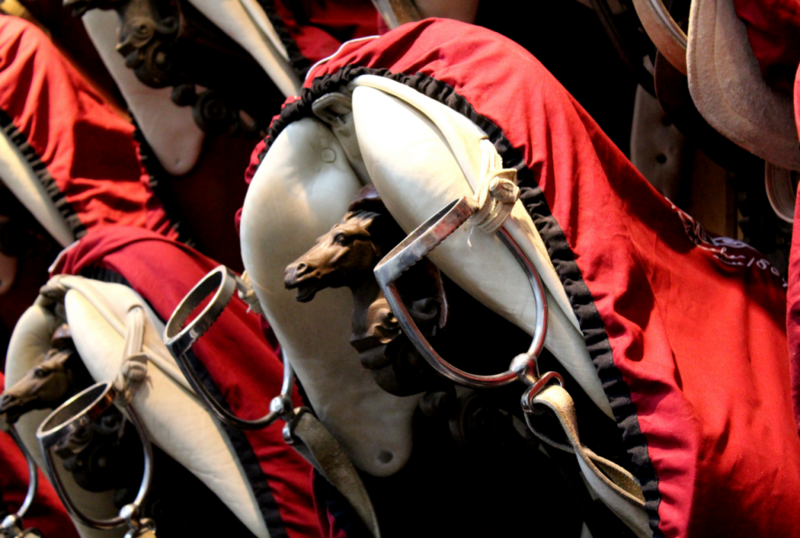 Only some of the wide stalls are now occupied, others are home to a permanent equestrian display. 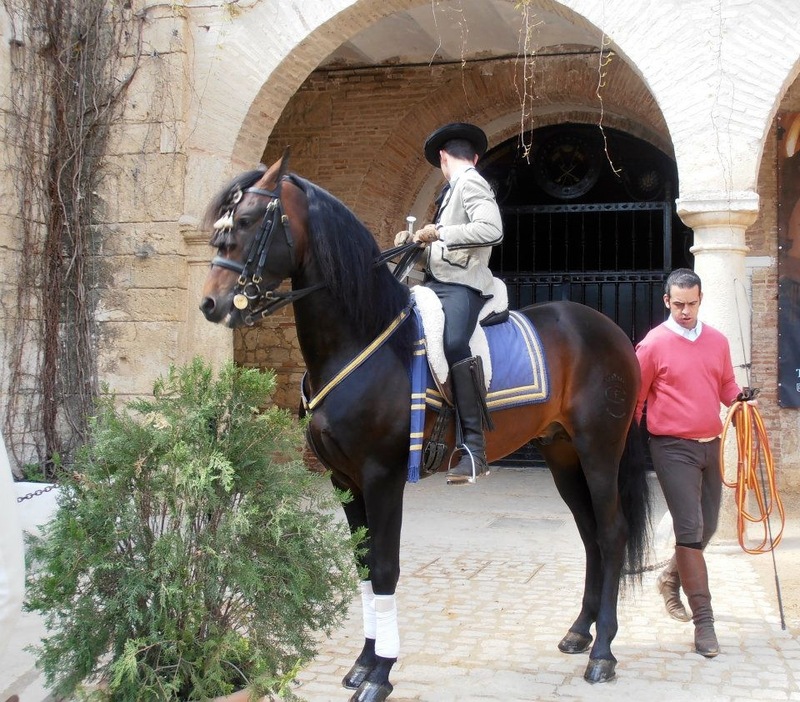 The riders and horses put on a number of shows and displays at the Caballerizas as well as other locations around the city. If you’re lucky like me, you’ll see some of the riders on the streets promoting the events in full traditional dress, if not, don’t worry! The stables are still worth a visit to stroke the horses and watch them being put through their paces on the lunge line. I personally cannot imagine a better place to train in – the arena is lined with orange trees and they smell so fragrant you can’t help but feel like you’re in a magical place! My final recommendation is just to wander around and soak up the plentiful atmosphere in this town. 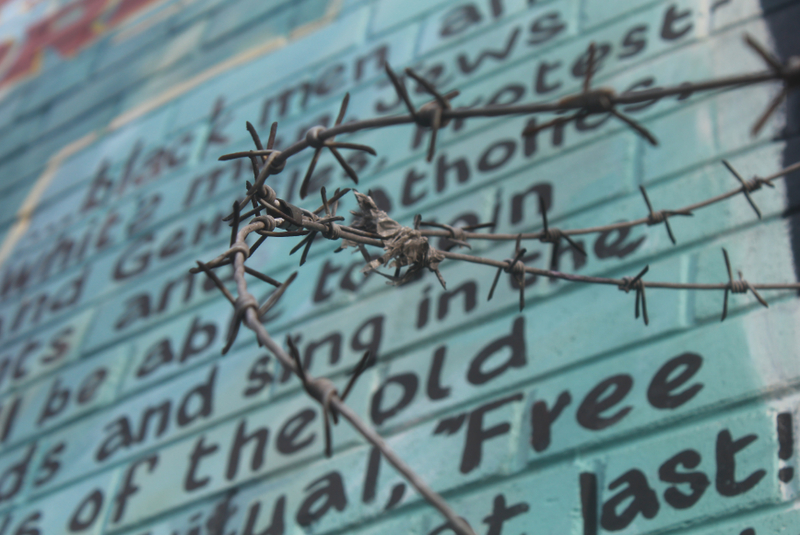 Every street, every corner has something beautiful and interesting to see and some history to learn about. Plaza del Potro – this literally translates as ‘square of the colt’, and is named for the small fountain at the centre of the square which features a rearing colt holding the arms of the city. 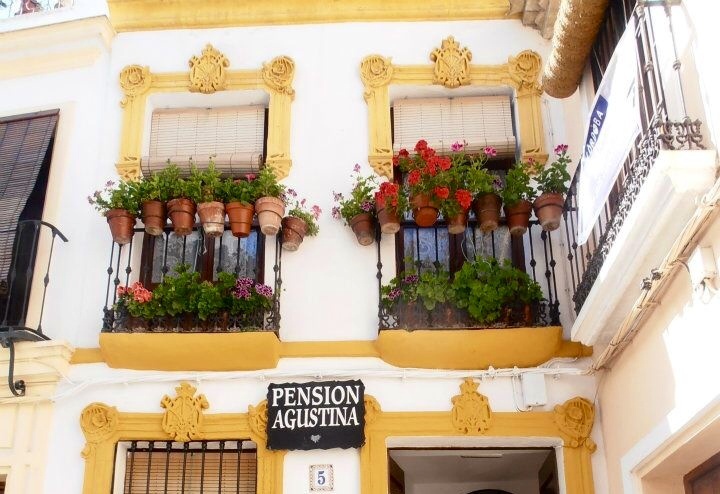 It is also one of the places Don Quixote stayed during one of his adventures, although it was believed to be a seedy den of a place so one assumes he was up to no good! 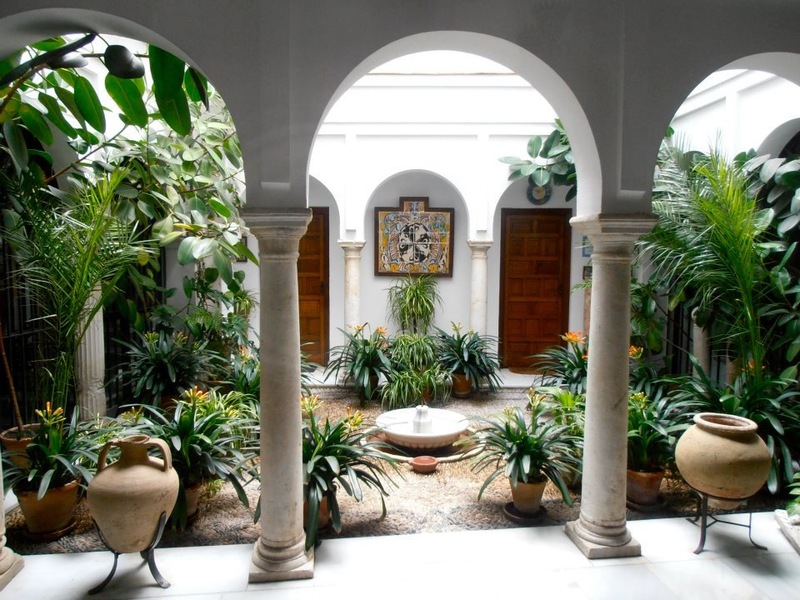 Inner courtyards are really popular in Mediterranean countries and they tend to be beautifully furnished with green plants, colourful flowers, intricate mosaic tiles and sometimes even fountains gurgling away happily. 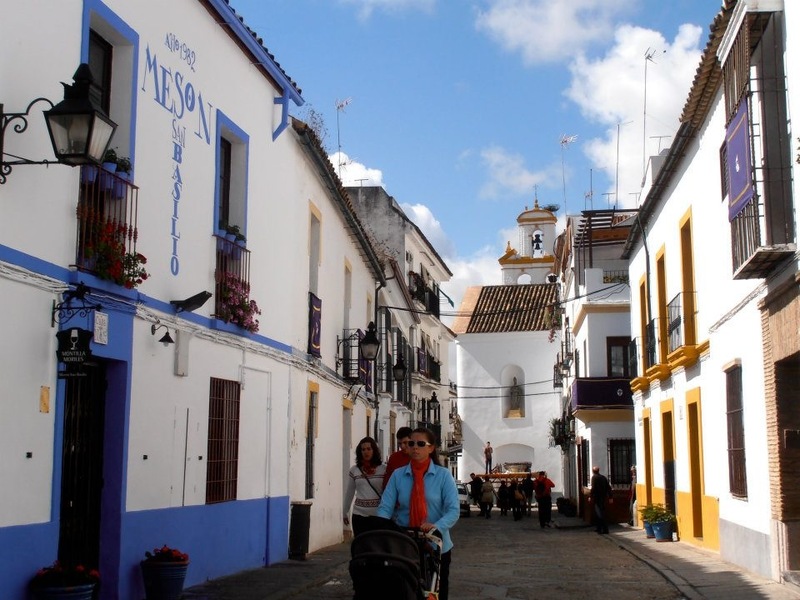 In the south of Spain coloured borders are really popular in the ‘pueblos blancos’ – white towns. I loved the cornflower blue and ochre on this street! 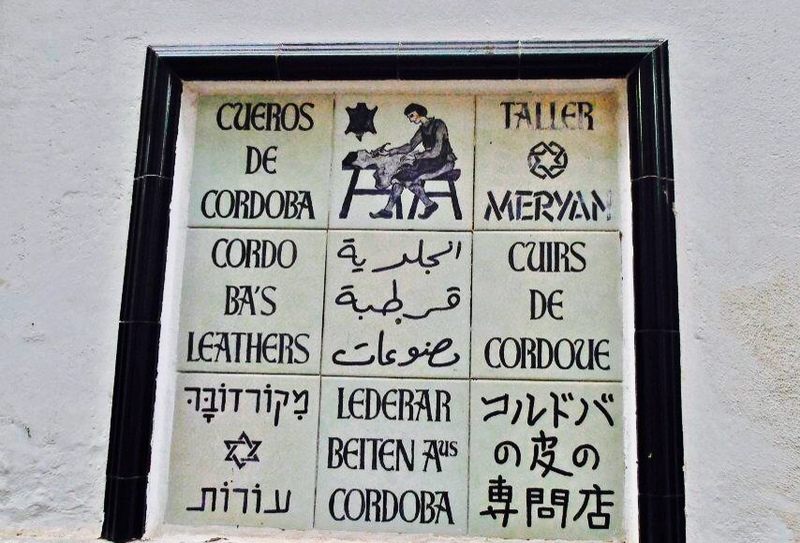 Córdoba is without a doubt on the tourist track, which is clear from the sign below, translated into so many languages! Córdoba leather is a special type of leather that is especially fine. The techniques for making the leather were brought to Spain from Libya and then travelled across the rest of Europe. Street art in London is true art, and in comparison the spray paint designs in Spain tend to look horrific – plain old acts of vandalism. 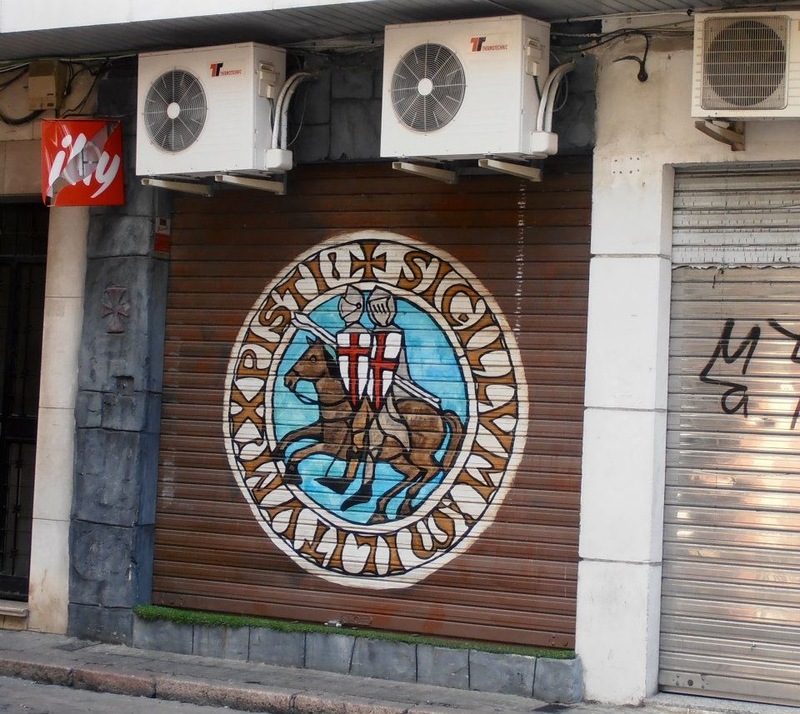 However I was tickled by this painting on a shop shutter – it’s the seal of the Knights Templar! The seal depicts two knights on one horse with the words: SIGILLUM MILITUM XPISTI. There are many interpretations of the symbolism of the knights but my favourite is that the symbol represented the initial poverty of the order; that they could afford only a single horse for every two men. Córdoba is without a doubt one of my favourite places in Spain – if you stop by let me know what you thought! Córdoba is probably my favourite city in Spain, too. Looks like a great time in Spain. 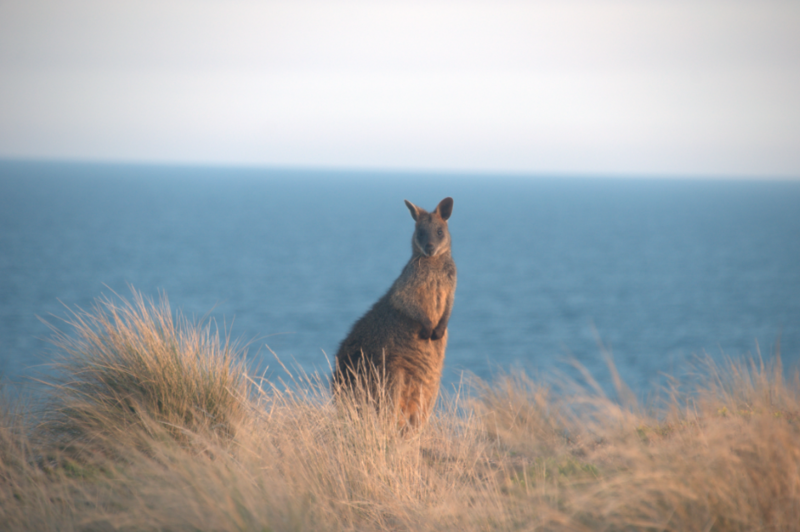 Awesome pictures and neat information! Well that made the both of us, as I had a lot of fun looking through your posts and incredible photos! I now want to go to PEI more than ever!!! 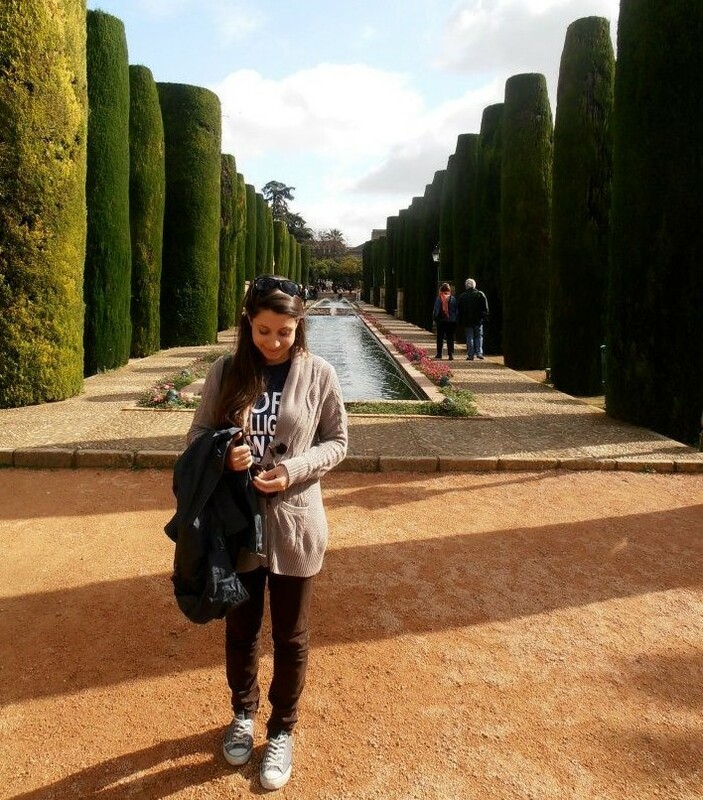 The gardens at Alcázar de los Reyes Cristianos are all kinds of crazy beautiful Sarah! 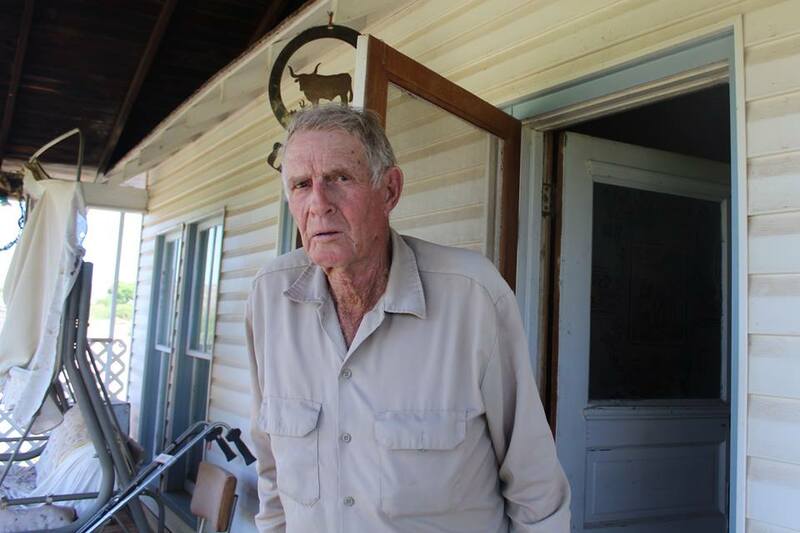 You’ve given me a new place to visit and thanks for teaching me about the word ‘Convivencia’ – it’s got a great meaning! I love this. How fascinating! Its almost like Córdoba is the Mezquita captures all of the imperialism and shifting influence and narcissistic fantasies of the Middle Ages in one building. 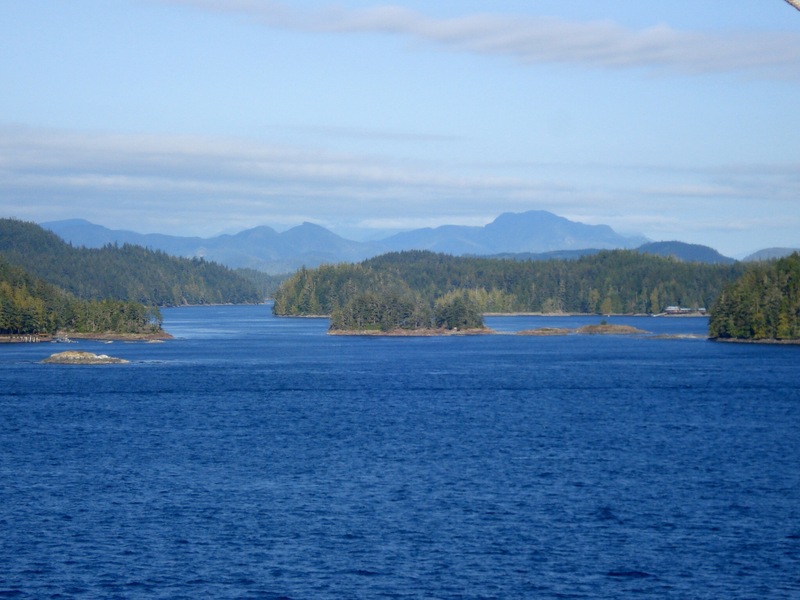 Thanks Brad – I love the way you phrased that so perfectly! Have you been to Andalucía? 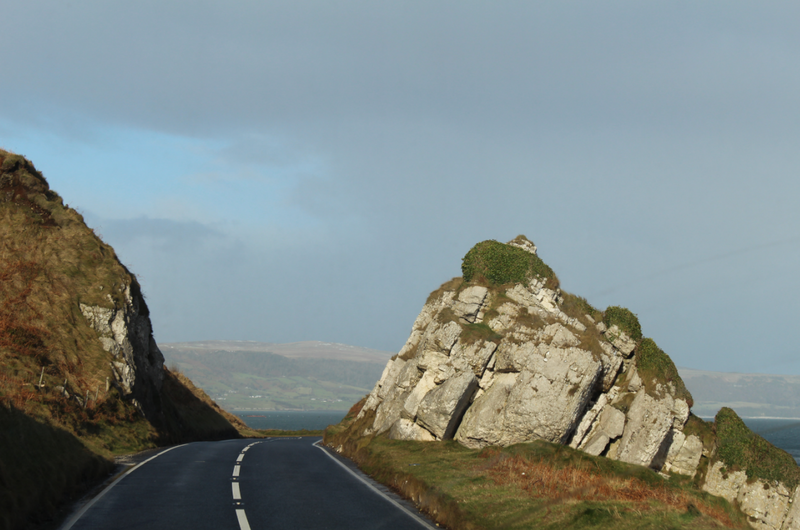 It’s such a fascinating place! I have not. Should it be on my list? I road tripped the Algarve in Portugal and that was amazing, you can’t help but be swept away by the idea of never leaving.